You are going to thank me for this. Like, show up at my doorstep unannounced with presents, thank me. Not to toot my own horn, but this these artichokes are truly one of the best dishes I’ve ever made. They are that good. First, we start with little baby artichokes. Trim them down until the tenderest leaves are exposed. Then, we make lemon brown butter. Oh yes, you heard me right. As the beautifully fragrant butter was bubbling away, it took all the willpower within me not to rub it all over my body like lotion. Each tender choke gets a heavy soaking of lemon…brown…butter, then a good sprinkling of black pepper and parmesan. 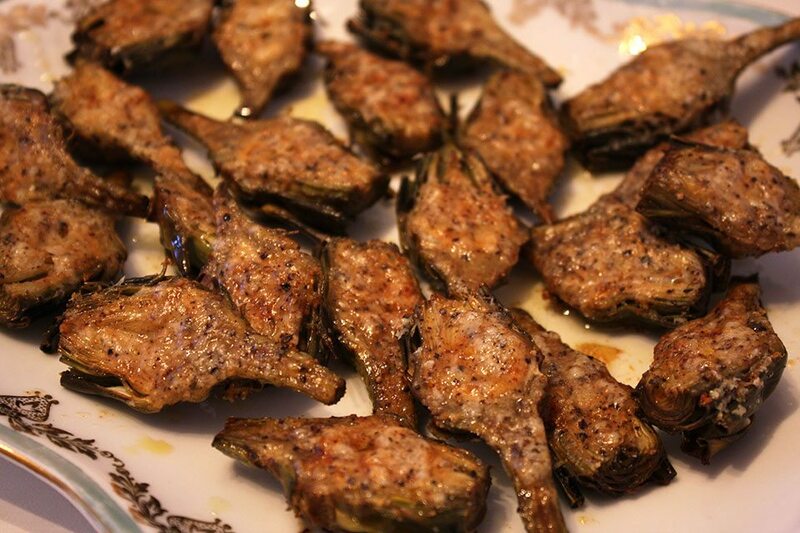 Shove those suckers in the oven, and not a half hour later you will be dining on parmesan and black pepper-crusted, LEMON BROWN BUTTER-drenched baby artichokes. I’ll expect those presents sharpish. 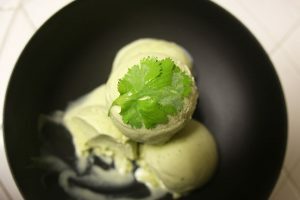 For step by step photos of this recipe, check out the Nomad with Cookies Facebook page. First, get the oven going. In a small saucepan, combine the butter and lemon zest. Heat on medium-low. Once it starts to bubble, stir frequently until the butter browns. Remove from heat to cool. Get step-by-step photos on making perfect brown butter here. Now, you’ll need to clean the artichokes. Prepare a bowl of water. 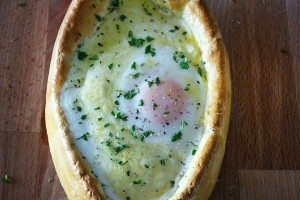 Halve the zested lemon. 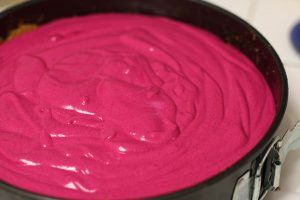 Squeeze its juice into the bowl along with the lemon halves. Using a parting knife, remove the tough outer leaves until you reach the soft yellow leaves. 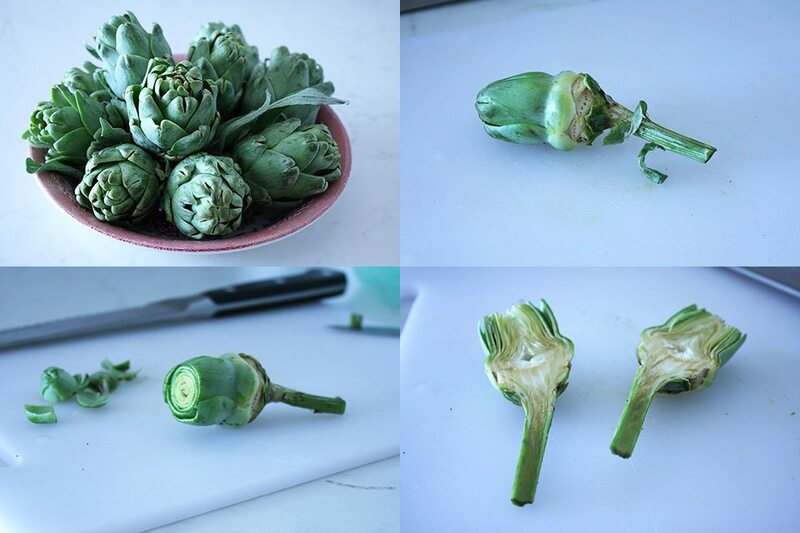 Using a serrated or bread knife, cut off the top third of each artichoke, and about a 1/4″ from the bottom of each stem. Cut the artichokes in half lengthwise. 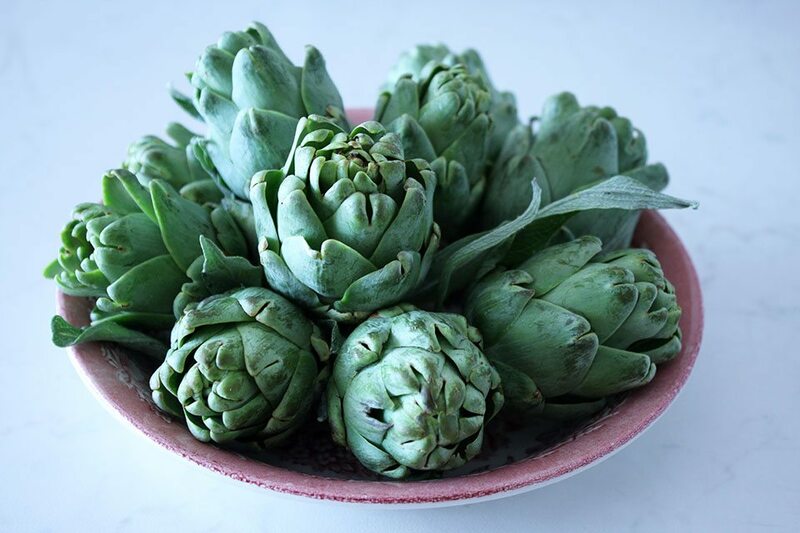 Toss cleaned artichokes into the bowl of water as you work to keep them from oxidizing i.e. turning a heinous brown. Once done cleaning the artichokes, arrange them, insides facing up, on a parchment-lined baking sheet. Using a pastry brush, give each choke a good soaking of the brown butter. Or if you don’t have a pastry brush handy, just drag the chokes through the brown butter in the pan. Sprinkle each choke with salt. 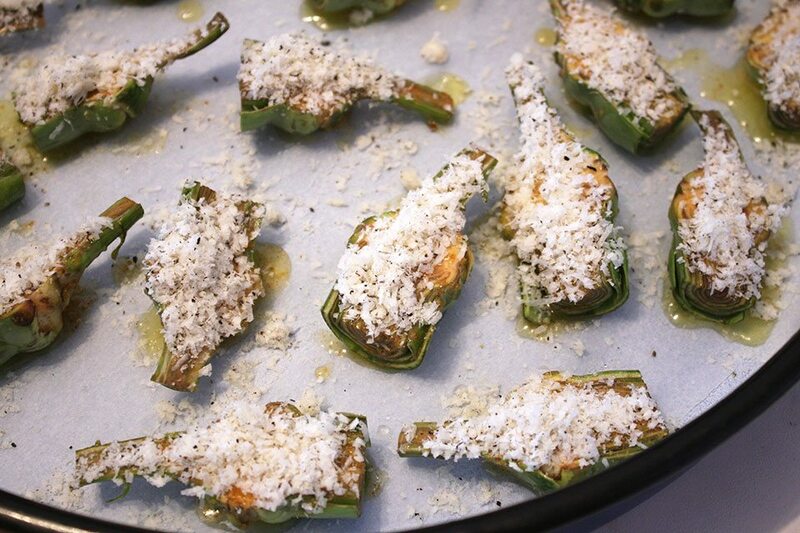 Combine black pepper and grated Parmesan. Put approximately 1 tbsp of parm on each one. Last but not least, time to bake! 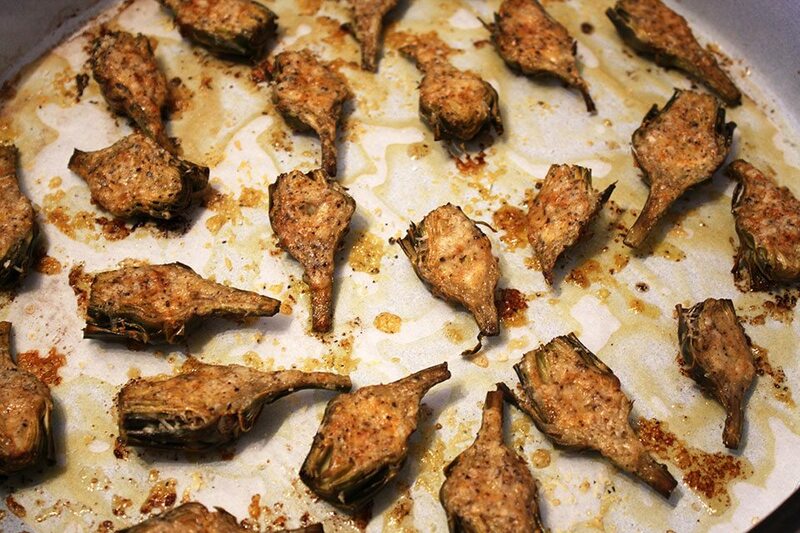 Bake the artichokes for 25-30 minutes until tender and the topping is golden brown. Now, you will end up with some extra brown butter. I like to give them good sprinkling of more lemon brown butter once out of the oven. Excessive? Never. What is your favorite way to use brown butter? Hi Janete – I'm sorry to hear that! You can certainly put them under the broiler for a few minutes at the end if they aren\'t crisping up enough for you. Just keep an eye on them so they don't blacken. Also, I always err on the heavy side of brown butter. If you find the stated amounts to be too much, feel free to put less to taste.